Throwing a dinner party and want something simple you can put together in advance so you can have a good time chatting with friends during the party instead of slaving away in the kitchen? 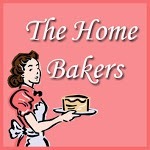 In fact, I am a big believer that as long as you have more than 4 coming for dinner, dessert should be made ahead. So you will never catch me making souffles or crepes or anything at the last minute when I throw a dinner party. 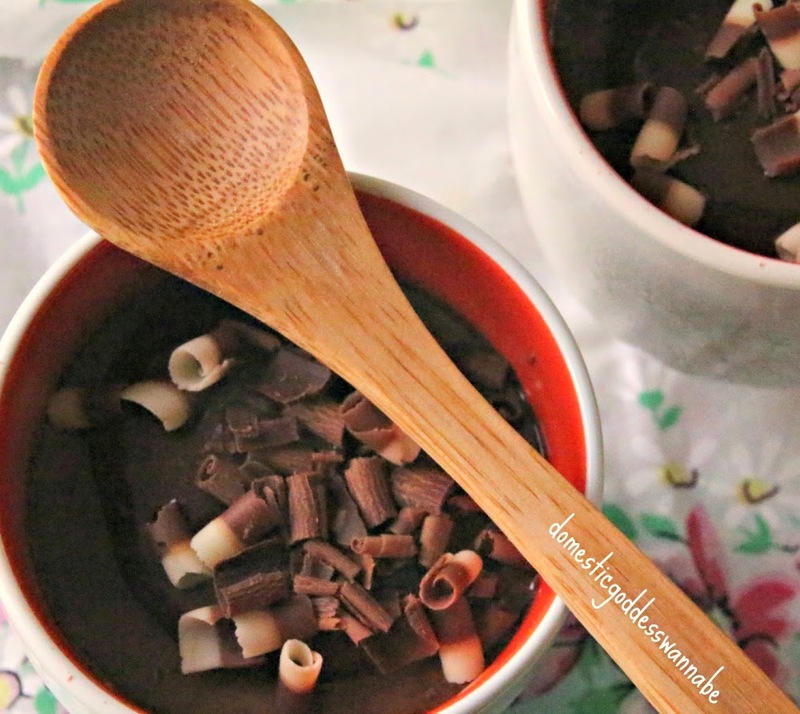 This chocolate mousse recipe has been my go-to recipe for years and years now. 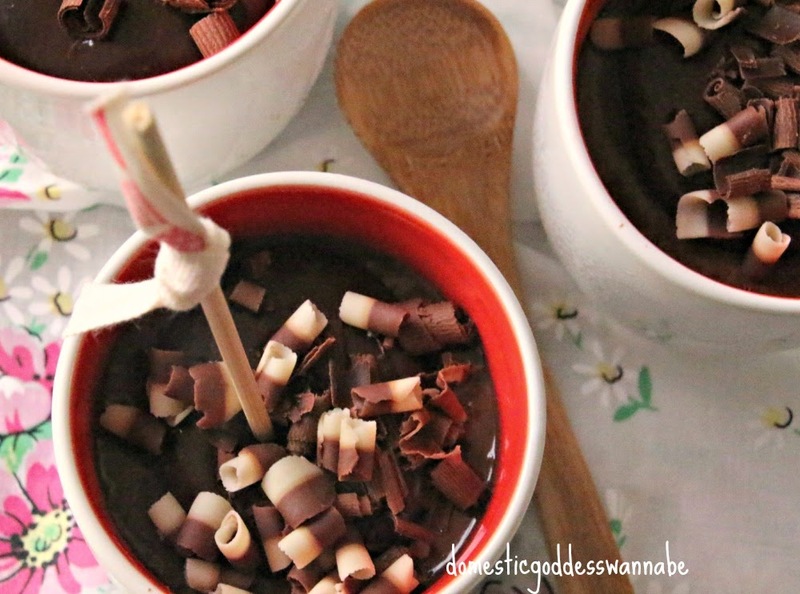 It is totally decadent, especially if you use good chocolate, and because it is very rich (without being sweet), you don't have to make loads as a little really will go a long way. In addition to all that, the best part, naturally, is that I can make this up to 2 days before the party, divide into individual portions, cover with cling film and store them in the fridge. Here are the instructions for making these small pots of decadence. Melt the chocolate and butter in a water bath. I used chocolate that contained 70% cacao because I prefer a deep chocolate flavor but you can use one with a lower cacao content if you prefer your chocolate mousse to be sweeter. Set this aside to cool a little. Add the egg yolks and whisk to combine. Whisk the egg whites on high speed until foamy. Slowly add 2 tablespoons of sugar while whisking. Continue to mix until stiff peaks form. Whisk the cream with the remaining sugar and vanilla extract until stiff. Fold the egg whites into the chocolate mixture. Use an ice cream scoop to divide the mousse into individual serving cups. Cover with cling film and chill the mousse for at least 4 hours. 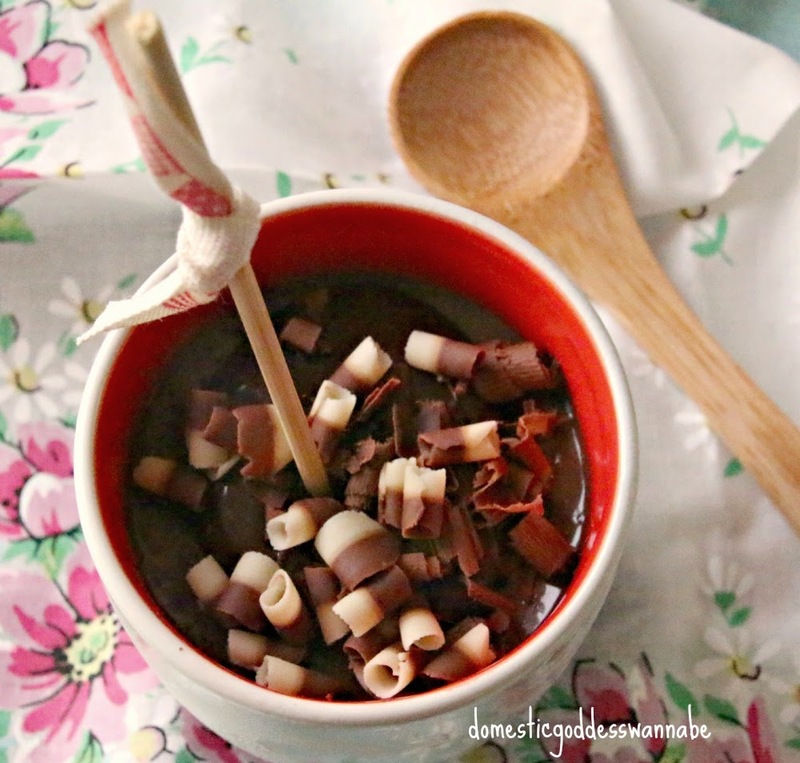 Top with chocolate curls before serving. 1. Melt the chocolate and butter in a water bath. I used chocolate that contained 70% cacao because I prefer a deep chocolate flavor but you can use one with a lower cacao content if you prefer your chocolate mousse to be sweeter. 2. Set this aside to cool a little. Add the egg yolks and whisk to combine. 3. Whisk the egg whites with cream of tartar on high speed until foamy. 4. Slowly add 2 tablespoons of sugar while whisking. 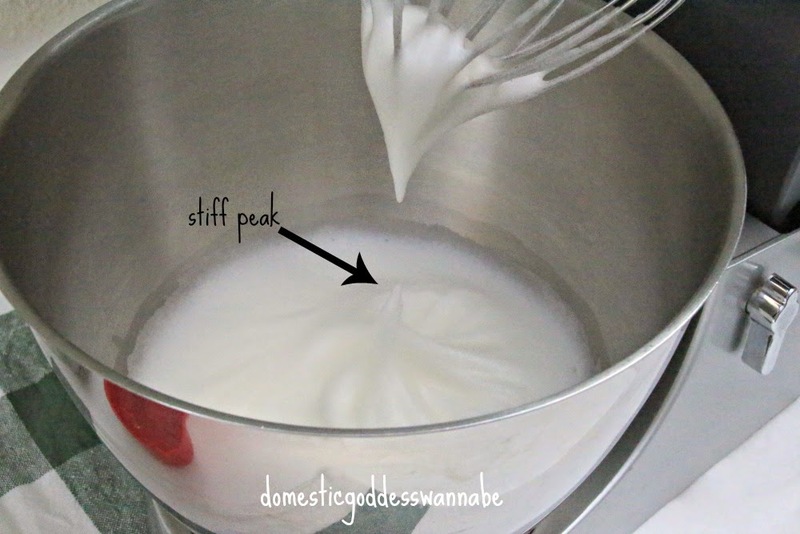 Continue to mix until stiff peaks form. Set this aside. 5. Whisk the cream with the remaining sugar and vanilla extract until stiff. 6. Fold the egg whites into the chocolate mixture. 7. Fold in the whipped cream. 8. Use an ice cream scoop to divide the mousse into individual serving cups. 9. Cover with cling film and chill the mousse for at least 4 hours. Top with chocolate curls (or any garnish you prefer) before serving. I can't wait to give this recipe a try. I love how mousse came out and how simple this is to do. Oh, Diana...my favourite chocolate mousse! yummy!